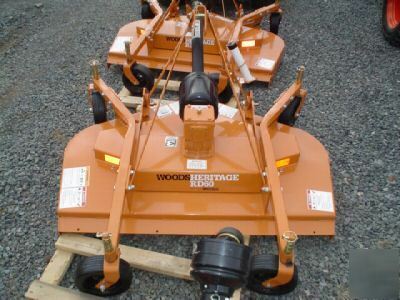 New Woods Heritage series 60" pull behind finish mower. Works with sub-compact tractors 18-30hp with rear PTO and CAT 1 hitch. 60"' cutting path 5 year gear box warranty. For additional information go to www.woodsonline.com. Any questions please contact Tom Martin at .